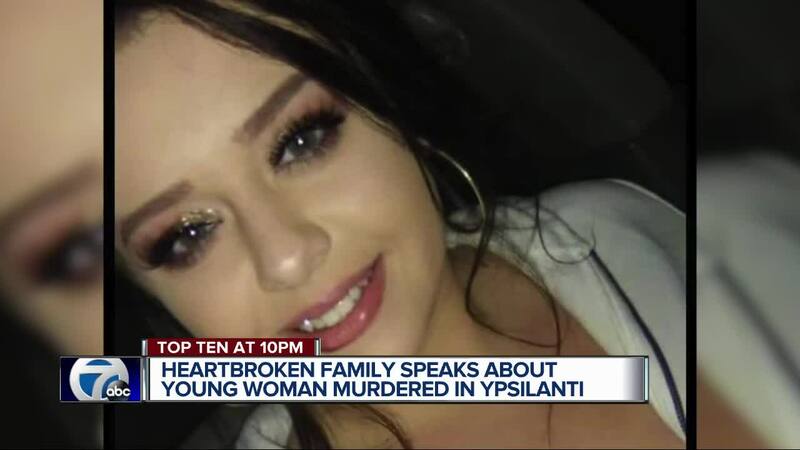 The family of a murdered 19-year-old is opening up about the life of the young woman that was taken away at the hands of a knife-wielding killer in Ypsilanti. Police discovered the body of Jamie Barsegian at the University Green Apartments on Friday, June 15. Officers had just arrested a man in the street with bloody clothes. Now, the family of Barsegian is shaken and grieving after the loss of the teen. Barsegian's fiance said that they had taken the alleged attacker, who was a neighbor, into their home for a couple of weeks after he was kicked out of his apartment. The neighbor, 18-year-old Tywaun Sims-Scott, was found making threats with knives and bloody clothes in Ypsilanti on Friday, leading police to Barsegian. Sims-Scott is now expected back in court on July 5 on open murder charges. A GoFundMe page has been set up in Barsegian's memory here .